In an alternate universe, there are no 25-year import restrictions and you, a freedom-loving American, are able to wheel around in the 2019 Suzuki Jimny as you please, climbing rocks and blasting across the beach with rainbows in your heart and a smile in your soul. There’s only one problem: you probably shouldn’t crash it. We regret to inform you that the new Jimny—the tiny, boxy, adorable off-roader that’s not sold in the U.S. market because Suzuki peaced out years ago—doesn’t seem to fare especially well in the Euro NCAP crash tests. And that’s not great. 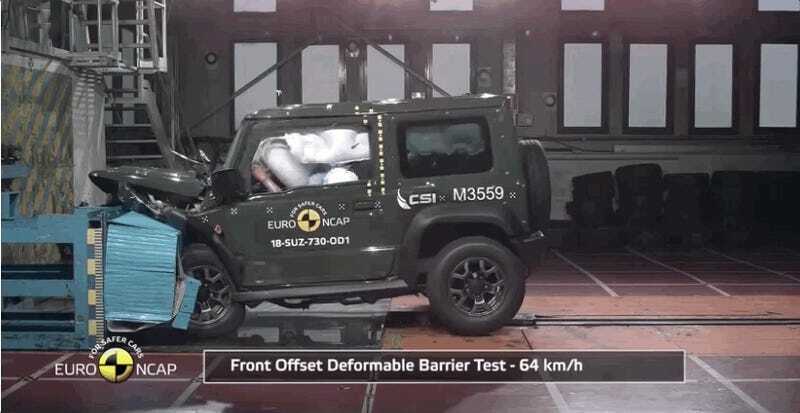 The Jimny was given a three-star safety rating out of a possible five, with faults being found with “low adult occupant protection”, overall protection in the event of a crash and its safety systems, such as the autonomous emergency braking functions. The Suzuki Jimny’s performance in testing betrays its ostensibly rugged exterior. As a completely new vehicle, it should offer far more protection to drivers in the event of an accident. Its safety technology did not perform optimally either. 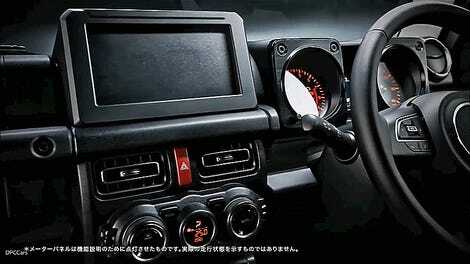 The youthful audience the Suzuki Jimny has been designed for deserve better in terms of passive and active safety. If you live in a market where it’s sold, I’m not saying don’t buy a Jimny, as it sounds pretty fun otherwise. Just... take some care not to wreck it, that’s all. It’s not quite where it should be for a modern small SUV.